Come adventure with us for an exciting week of singing, instruments, movement, drama, & art! Musical performance and Art Exhibit is Friday, June 14th at 6:00 pm. Melvin Adams will be hosting his Annual Basketball Camp at Windwood. This camp promotes skills for on and off the court. Calling all new kindergartners for a fun way for them to dive into their first year in kindergarten and get acclimated to the new adventure ahead. Welcome to VBS 2019! Thank you for sharing your child with us as we trek through the savanna on our ROAR VBS adventure where we will learn that Life is Wild~ God is Good! Each day, leaders reinforce one Bible truth which makes it easy to remember and apply to real life. For AFTER VBS programs, your child will be escorted by church staff at the conclusion of VBS to Sports Camp where they will meet Triumph Staff and eat their sack lunch. Parents, you may drop off at the start of VBS and don't have to pick up until the end of Sports Camp. Please pack a lunch. Kids Life Kamp for Preteens (completed 3rd, 4th, 5th, or 6th grades) is a 4 day, 3 night, fun-filled camp experience to help kids connect to God and learn to walk closely with Jesus Christ. Summer Camps @ Windwood Camp Times: 9:00am - 2:30, with Early Care & After Care available Camps run from June 3rd - August 9th. 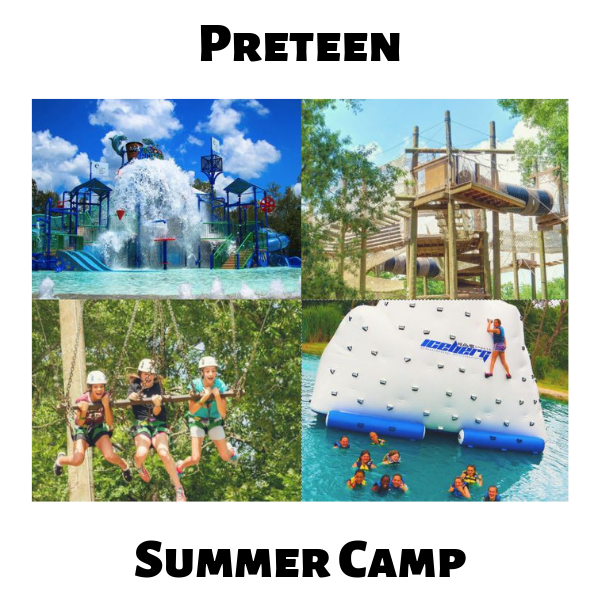 Each camp includes: Celebration Station, Field Trips, Learning Centers, Outdoor Experiences, Water Activities, Gross Motor Activities, and a Theme-Based Weekly Lesson. Camps are for children ages 4 months (by June 1st) thru entering 5th Grade.